Hello! November already! This Autumn has gone by soo fast! 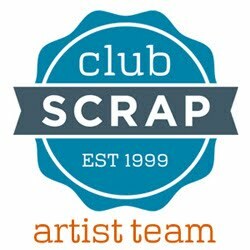 Welcome to the Club Scrap Artist Team Challenge Blog Hop! You should have just come from Roni's Blog if you're following the hop order. This month's Artist Team Challenge at Club Scrap was to create something using stamped images from the Girlfriends and/or Enchanted Forest unmounted stamps. Both sets are so cute with florals and mushrooms and Fairies!! I decided to make 3 cards with pockets for an ATC. 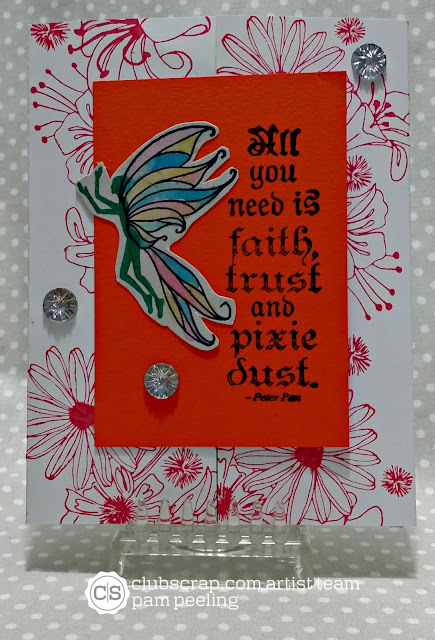 The stamped images on the front of this card are all from the Girlfriends stamps. 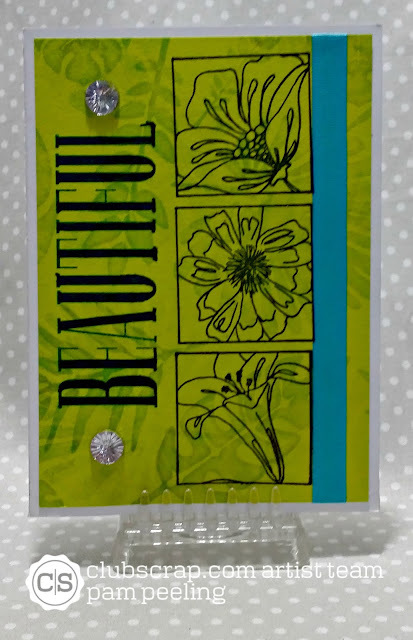 I used papers from the Club Scrap Paradise kit on all the cards. Here's the inside of the card with the pocket and ATC. I trapped a fairy inside a mason jar!!! I LOVE those mushroom stamps from the Enchanted Forest stamps!!! SOOO cute! I trapped her magic wand in this one :) The paper for the ATCs is a shimmery opalescent I had in my stash. 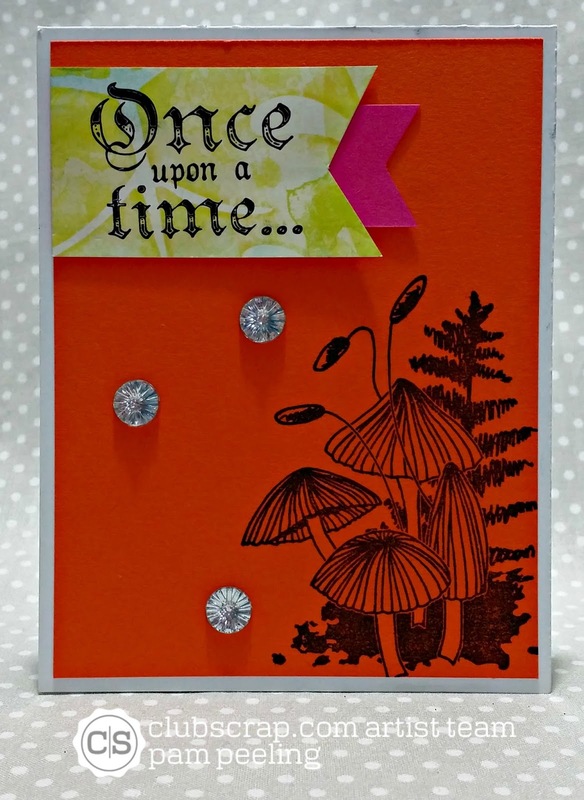 I used an image from Girlfriends for the background of this gate fold card. 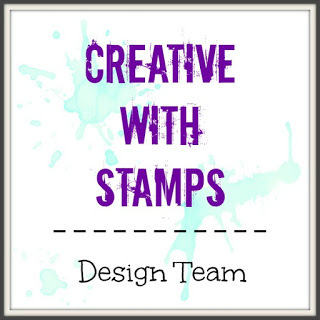 Follow the hop along to Hetty's blog to see what she has created with these awesome stamps! 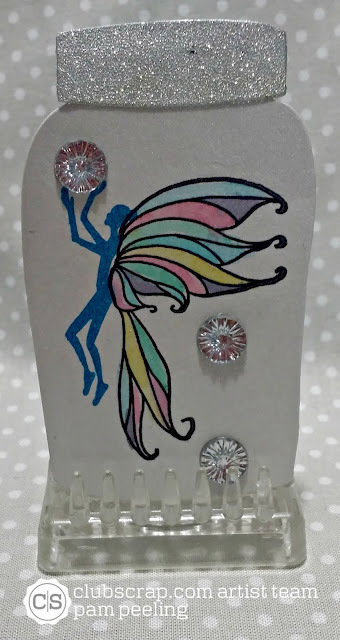 YAY for fairies! Those ATC are just too cute! I would love a fairy in a jar! I love the idea of the mason jar-shaped ATC inside the card paired with these stamp images. Very clever! Cute cards, TFS! 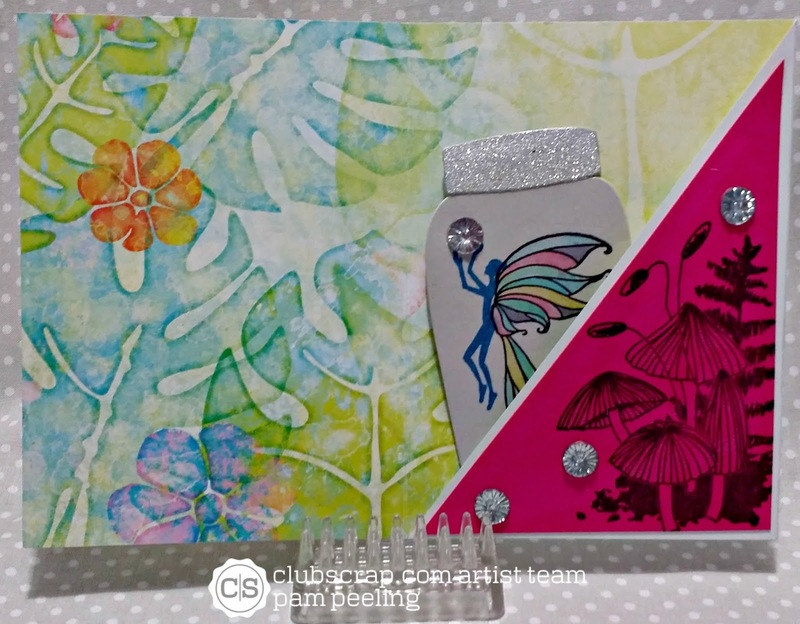 What a great use of the fairy in all of your art Pam! Love how you colored the wings!! Awwww these are all so beautiful and love the stamps you used!!! super sweet mason jars too! Wow, those jars are wicked! What a great idea. Your cards are beautiful as well. What fun! What a a great bunch of atc's. So colorful and that jar is a great idea. 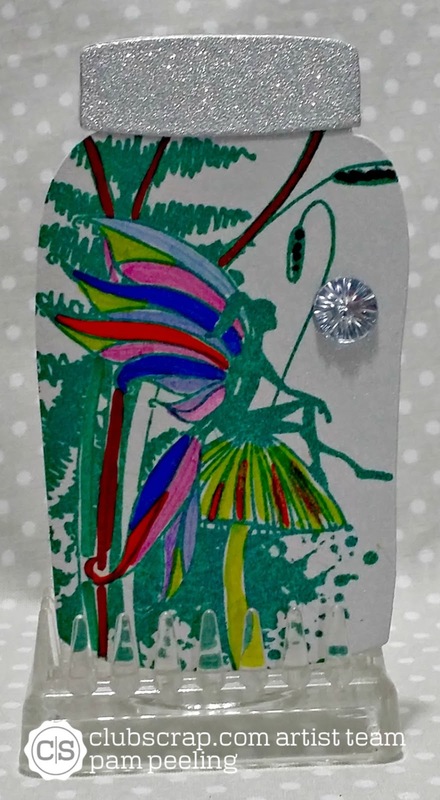 Yay lovin those fairies!! The jars are super cute too! WOW Pam! Each one was better than the next! Super cute! 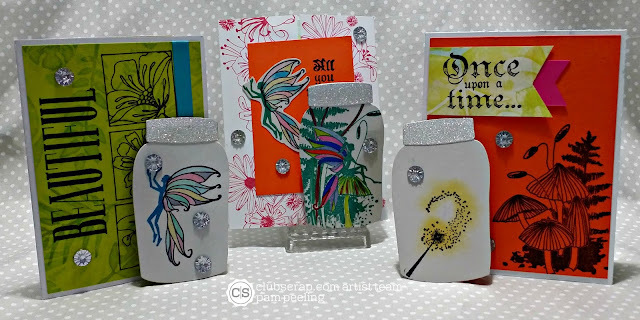 Awesome ATC's.love the Mason jars! Just now getting to the hop...cute ATC's!! Love the jars! !